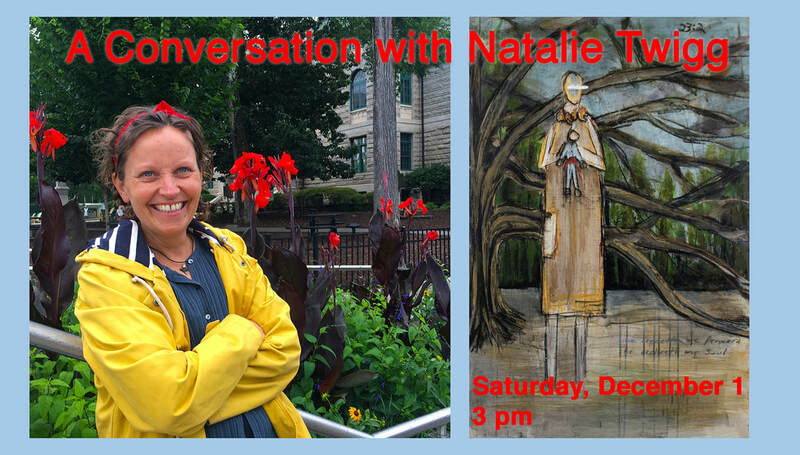 Join us for a conversation with English-born/Decatur-based Composer, Musician & Writer, Natalie Twigg, and Different Trains Gallery Director, Shawn Vinson, on Saturday, December 1, at 3 pm. Natalie will talk about "The Gallery", the storytelling musical that she wrote, performed & recorded. She collaborated with former Atlanta artist Todd Alexander, who beautifully illustrated her poignant tale of searching & renewal with twelve paintings, on view through December 22 and accompanied by Natalie's audio soundtrack. Natalie attended the Royal College of Music and has performed throughout Europe and the US. She has played for the British Royal Family on multiple occasions and was even invited to play with Led Zeppelin. This is an artist talk that will inspire and enlighten!